Before applying for a handicap placard be certain you meet the criteria set by your Department of Motor Vehicles (DMV). Lack full use of an arm or both arms. Cannot walk a certain number of feet without stopping to rest. This greatly varies by state. Missouri, for instance, limits it to 50 feet, while Texas uses 200 feet as its gauge. Cannot walk without the assistance of a cane, crutch, brace, prosthetic device, wheelchair, or another person. Have a cardiac condition that's listed as Class III or Class IV in severity according to the American Heart Association. Cannot walk without the aid of portable oxygen. Have a visual acuity of 20/200 or less in the better eye with correcting lenses. Have a visual acuity of 20/200 but with a limited field of vision in which the widest diameter of the visual field subtends an angle of 20 degrees or less. 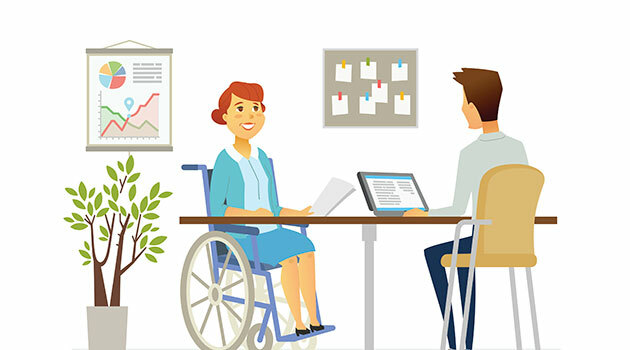 After completing, submit the form and any associated fees (some states do not charge for disabled placards) in-person or by mail to the address listed on your application. Most temporary handicap placards are limited to a few months, with the option to renew. The placard should be displayed from the car's middle rearview mirror when parked. Be aware that some state's disallow the placards from being hung from the rearview mirror while driving. The handicapped placard allows you to park in any site designated for persons with disabilities. Remember: Handicapped placards are issued to people, not cars. This means you cannot use the placard if the assigned person is not riding your vehicle.